The laid-back waves of UWF feel contagious. You’ll soon turn into a flip-flop wearing beachgoer who finds 50-degree weather freezing whether you’re a Florida native or an out-of-state student. But even in January, you won’t need more than a pair of jeans and a light jacket to brave the southern winter. As a smaller public university full of friendly and familiar faces, students find themselves feeling comfortable quickly. “I always feel like I am at home on campus. The professors are always more than welcome to take some extra time to help you out and the campus is just so beautiful and full of surprises,” said sophomore criminal justice major Alexis Hoskins. Greek life rules the school and contributes to the close-knit feeling many students experience. “I have several wonderful sisters who push me to do better on my school work and help me when I struggle,” said junior political science major Emily Payne. “I think Greek life is so popular here because it creates a sense of community that is felt and seen.” Whether you rush or not, you have high chances of interacting with Greek life at some point, whether through a party or fundraising event. Leave those college-movie stereotypes behind and embrace the new experience. With so many well-achieved alumni, current students know the future looks bright for them. Roy Jones, Jr., a Pensacola native, graduated to become a world champion boxer and now owns a training center in the area. Kenneth Cockrell, a NASA astronaut, received a master’s in aeronautical systems and has five space flights under his belt. After graduating in 1998, Indian native Namrata Singh Gujral pursued a successful acting career in film and television, including features in the soap opera Passions and the romcom Americanizing Shelley. Currently her work includes co-directing a new Hollywood movie, 5 Weddings. Another inspirational leader, Patricia Denkler, earned her bachelor’s in English at UWF before becoming the first woman to land a jet on an aircraft carrier. No matter your passion, you can find your place at UWF. On campus, you’ll always find students in The Commons, with dining options like Quiznos and Papa John’s, along with cozy places to study for that big exam. Off campus, Pensacola makes the perfect weekend getaway with white-sandy beaches only a 20-minute drive from UWF. And downtown, enjoy anything from Chinese to Mexican to barbecue at Al Fresco, a chain of food trucks in the middle of downtown. Order the loaded barbeque chicken fries from the Gunshot BBQ truck, but find a friend to share with because the servings are huge. Tired of the parties on campus? Visit the town at night when it comes alive with concerts and shows. The Vinyl Music Hall hosts concerts every weekend with cheap tickets. Experience nights you won’t remember at Wild Greg’s Saloon or the LGBT hotspot, The Cabaret. Or pick up local art for your dorm room at Gallery Night downtown during the first and third Friday of every month, where you can find live music, drinks and every kind of art imaginable. With so much to do right nearby, you’re bound to find your niche with your newfound college BFFs. 1. Do you find campus easy to navigate? “I went and found where all of my classes were the day before. I was excited to be starting but I was also nervous I would be entering the wrong class, so I left an hour early and I asked the people in the class with the professor to make sure. I was excited to be at college but also very nervous. Since this is my third year, I have definitely settled in better and I’m not so nervous about classes or college in general. I know how it all goes and what is expected of me,” junior Jane Smales said. 2. What would you tell incoming freshman about UWF? “Don’t be shy to talk to the person next to you or go to that club/tutor group because odds are, you’ll meet a ton of people who are reaching for similar goals that you are! Plus, it helps so much to be able to study in a group. Don’t be afraid to get close to your professors either! Yeah, you might think tutoring with a professor or going to their office hours makes you lame, but you’ll definitely see your grades improve if you are struggling and ask for help,” sophomore Amanda Lee said. “I feel like UWF is a bit of a conservative campus. Hook-ups happen, but unless you’re at the party or it’s someone from your friend group, you probably won’t know about it. Students like to keep this information to themselves, so I don’t hear about it all that much,” said Hoskins. 4. How much are students partying? “The party scene is good if you’re a part of the Greek life on campus. You can find parties thrown by non-Greeks, but the crazy ones are affiliated with us. I personally love the party scene at UWF because it’s just enough for me. It isn’t so heavy that you can’t keep a grip and grades slip, but it’s definitely not lame or lacking either,” sophomore Sabrina Franklin said. 5. What will get you into trouble at UWF? “With such limited parking spaces available on campus, they definitely keep an eye on illegal parking for sure. If you plan to drive to campus, make sure to get your decal and park where students are allowed. I think you’re more likely to get in trouble for this than a low GPA or what you keep in your dorm rooms,” junior Ruben Marrero said. “[UWF is] not as strict as I thought it’d be. All throughout high school you always hear that college professors are super hard and they don’t care if you pass or fail, but anytime I struggle with something, I know I can go to my professor or a tutor for help.” – Katelyn Teal, Class of 2019. “I’ve made some close friends and I’ve grown up a lot since I’ve started my time here. While UWF was not my first choice, I’m glad I decided to come here. Keeping up with my grades while also working and trying to have a social life can get super difficult, but getting involved is totally worth the rough patches.” – Cheryl Bush, Class of 2019. “I chose to go here due to it being close to home, but also because most of my friends decided on going here also. Overall, my experience has been really great, especially with my involvement in ROTC. One of my favorite memories is going to the track on campus with a group of friends and working out for however long, just hanging out and cracking jokes.” – Mark Light, Class of 2020. “When I started at UWF, I had the hardest time moving into my first dorm. I was once again the new kid and I didn’t know anyone. Once my dad helped me get my stuff inside he left, and I was all alone. I started wandering around Martin Hall and then I literally ran into an ‘Argo Pal,’ someone hired by the school to make sure that the residents were adjusting okay. We talked and ate cookie dough together, and she made me feel like everything was going to be okay. For the next three months at school while I was getting my feet on the ground, she made my dorm feel like a home.” – Leeann Laird, Class of 2018. “I chose UWF because it was a university rather than a state college so they expect more from the students. I didn’t want to have to transfer from our community college, Pensacola State College, later down the line and have a bigger work load I was unadjusted to. As an early dual enrolled student, I have enjoyed my experience so far. I have gotten the opportunity to make new friends that procrastinate with doing their work as much as I do. Plus, free college? Yes please.” – Samantha Sewell, Class of 2021. Run for a position on the executive board for SGA. 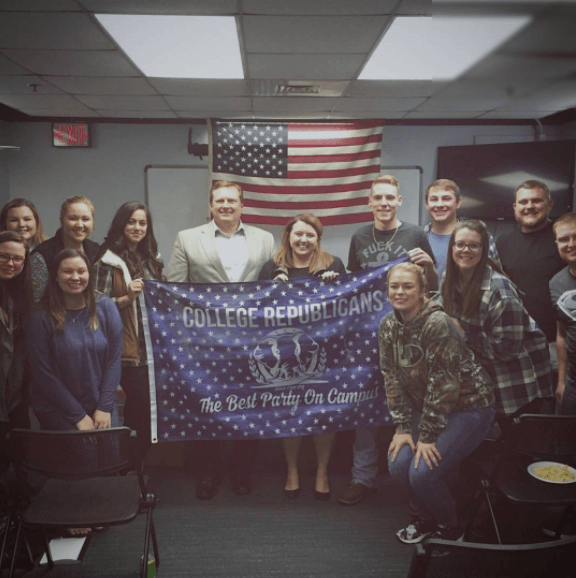 “Since I have been a senator, I have been taught vital networking and communication skills, as well as confidence in myself,” said senior political science major Summer Welch. As a member of SGA, you shape your peers’ experiences. Serving in this position gives students the ability to see the benefits (and consequences) of their choices concerning student life. “I wanted to take on a leadership role and be a voice for other students while developing my professional communication skills and increasing my involvement on campus,” said Welch. “Dance Marathon is a big deal at UWF in the sense that it’s growing very quickly, which means that being the Communications Director for it is a big deal for me,” said junior communications major Meghan Frisbie. As one of the largest and most entertaining fundraising campaigns found on campuses nationwide, it doesn’t take a genius to see why so many Argos get involved with the event. You can do anything from fundraise as a team to dance at the big 48-hour ‘marathon’ in the spring. “I participate in DM now because last year I attended the final event and dramatically bawled at the reveal of how much we raised (which was $43,748.81). After this, I joined exec to really get involved and see how much I can help raise this year with my skill sets,” said Frisbie. Since DM has only just begun on UWF’s campus, now would be the perfect time to stand up and have your voice be heard. Receiving an acceptance letter to UWF requires a little extra work than you’d give to the average college application. Admissions are relatively selective, which means potential students should focus on highlighting their strengths and finding ways to stand out among the typical pool of 7,000 applicants. Getting those ACT and SAT scores up can help tremendously— the average scores accepted are slightly higher than those for other public institutions (20-26 for the ACT and 930-1120 for the SAT). 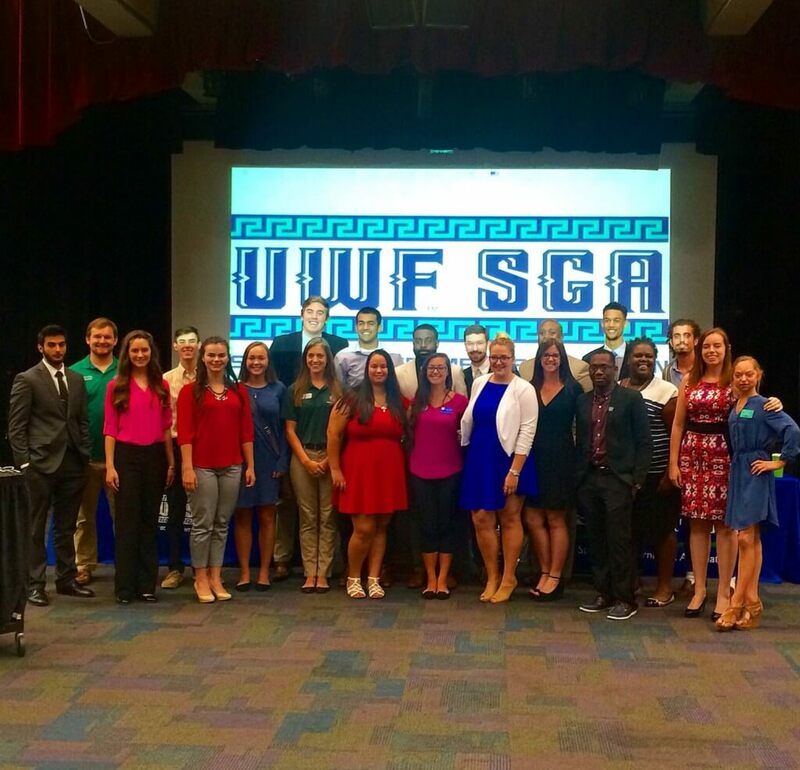 UWF highly encourages inclusivity and initiating change, so don’t forget to include any volunteering or activism experience on your resume. Admissions also looks for well-rounded students who enjoy a challenge, so make sure to perfect that profile to secure your position as a future Argonaut.